India a country which has great rivers, like the Ganga, Narmada and Brahmaputra. These rivers are having some of the major big dams and the largest reservoirs in India. 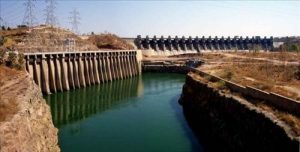 Dams play a very important role for the Irrigation and Agricultural growth of India, but again it has a huge affect the people, environment and wildlife. This dam is the biggest dam in India and also stands as the 2nd biggest in Asia and 8th biggest in the world. The Tehri Dam is a multi-purpose rock and earth-fill embankment dam built on the Bhagirathi River near Tehri in Uttarakhand. This dam is 261 meters high and 575 meters wide. 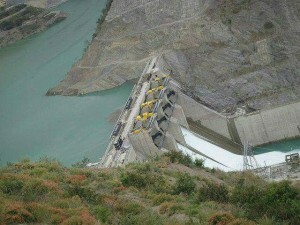 The Tehri dam can produce 1325 MW of power which is the maximum capacity. 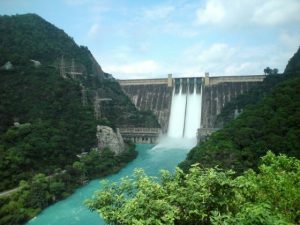 The Bhakra-Nangal Dam is on the river Sutlej, which is very near to the border between Punjab and Himachal Pradesh in northern part of India. It is India’s 2nd highest dam. This dam is 225.55 meters high and 520 meters wide. The Bhakra-Nangal dam can produce 2400 MW of power which is the maximum capacity. Its reservoir, which is known as the “Gobind Sagar”, can store up to 9.34 billion cubic meters of water, this is enough to drain the entire city of Chandigarh, few parts of Haryana, Punjab and Delhi. It is the longest earthen man made dam in the world which was built in the year 1957 on the river Mahanadi in Orissa. It is about 26 KM in length. 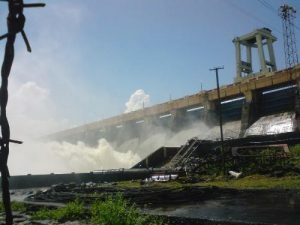 This dam is 61 meters high and the main dam is 4.8 meters wide. The Hirakud dam can produce 308 MW of power which is the maximum capacity. This project started after India’s Independence, and is India’s one of first major multi-purpose river valley project. World’s largest masonry dam which is built across Krishna River in Nagarjuna Sagar, of Andhra Pradesh. 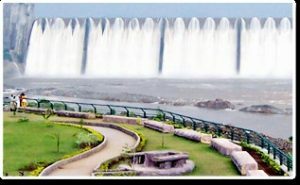 The dam has the Nagarjuna Sagar reservoir which has a capacity of up to 11,472 million cubic metres. This dam is 124 meters high and 1450 meters wide. 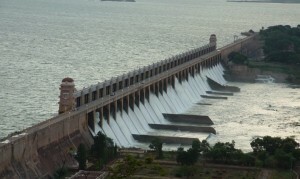 The Nagarjuna Sagar dam can produce 816 MW of power which is the maximum capacity. 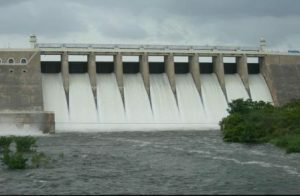 It is a gravity dam, which is built in the Narmada River in Gujrat in the year 1979. It is the biggest dam and portion of the Narmada Valley Project, which is a large hydraulic engineering project including the construction of a sequence of large irrigation and hydroelectric multi-purpose dams on the Narmada River. This dam is 163 meters high and 1210 meters wide. 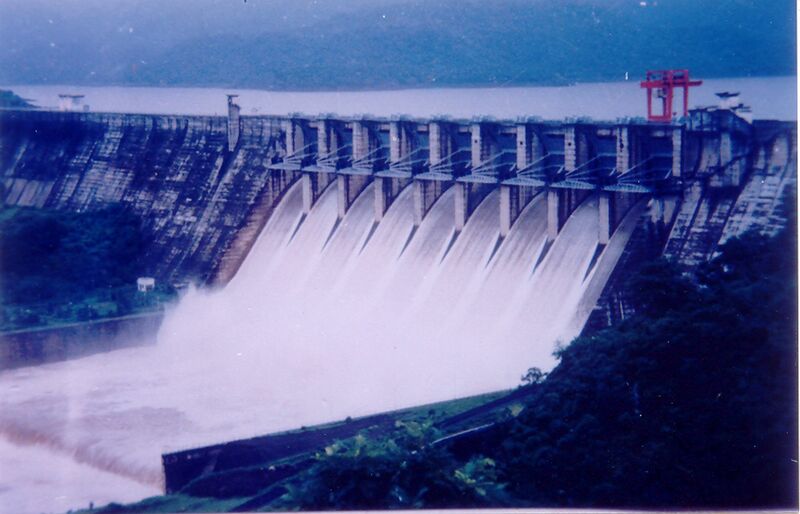 The Sardar Sarovar dam can produce 1450 MW of power which is the maximum capacity. Built on the Narmada River in Madhya Pradesh in the year 1992. It has the biggest reservoir in India with a capacity of 12.22 Cubic Meter. Around 1230 square kilometre of land gets irrigation through this damn. This dam is 92 meters high and 653 meters wide. The Indra Sagar dam can produce 1000 MW of power which is the maximum capacity. Situated on the Tungabhadra river in Karnataka, it is the largest dam with a royal sight It has a Japanese garden, beautiful scene of nature and musical fountain. Multipurpose dam which serves irrigation, flood control and generation of electricity. This dam is 50 meters high and 2441 meters wide. The Tungabhadra dam can produce 72 MW of power which is the maximum capacity. Situated on the Bhavani River of the Erode District in Tamil Nadu, this dam is also known as Bhavai Dam. Biggest earthen dam in the country and is used to divert water to the Lower Bhavani Project Canal. It is the longest masonry dam in the world. It is a beautiful dam and is a very important tourist destination. This dam is 32 meters high and 1700 meters wide. The Bhavanisagar dam can produce 1920 MW of power which is the maximum capacity. Built in the beautiful surroundings of the Sahyadri Mountains, this project is one of the most complex project. It consist of 4 dams. This project is the largest completed hydroelectric plant project in india. 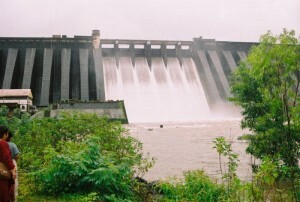 This dam is built on the Koyna River hence its name is Koyna Dam. This dam is 103 meters high and 807 meters wide. The Koyna dam can produce 1950 MW of power which is the maximum capacity. One of the highest arch dam in Asia and 3rd tallest dam in India, it is situated between 2 mountains Kuravanmala and Kurathimala. This dam is 169 meters high and 366 meters wide. 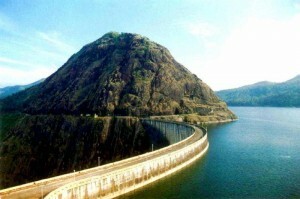 The Idukki dam can produce 780 MW of power which is the maximum capacity.